On Thursday, from 11 to 12 p.m. LADOT and Councilmember Tom LaBonge will be re-dedicating the Alex Baum Bicycle Bridge in a ceremony from 11 to 12 at the bridge, located above Los Feliz Blvd. 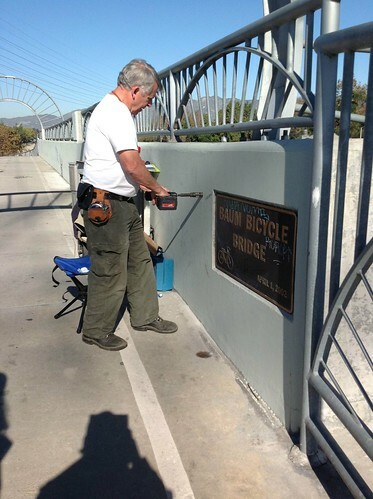 The dedication ceremony will showcase new bronze plaques (unveiled earlier this year at the Blessing of the Bicycles) honoring Alex Baum and his role in promoting bicycling in Los Angeles (just in time for his birthday.) 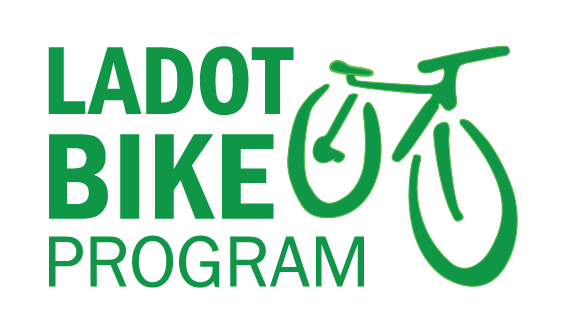 Parking will be limited so we are encouraging attendees to bike, take transit or carpool to the ceremony. Join in the celebration to get a first-hand look at the plaques and a chance to hear guest speakers honor Alex’s accomplishments and L.A’s long bicycling history. Please note, that the bicycle bridge will be closed to bicyclists from 10:30 to 11:30 for the purpose of the ceremony. A clearly signed detour will be available for bicyclists passing through the area at this time. Recently a field visit was made to scope potential locations for a couple new bronze plaques that will be placed on the Baum Bicycle Bridge. 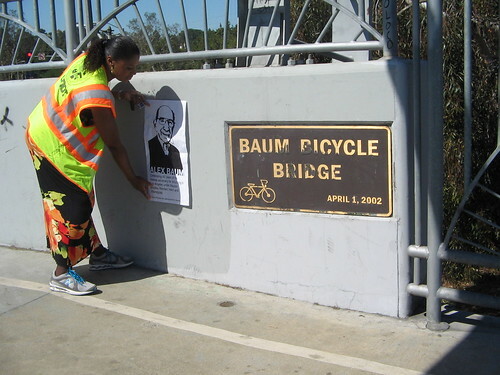 The plaque will be installed as part of a re-dedication of the bridge to better call attention to the accomplishments and legacy of longtime bicycle advocate Alex Baum. 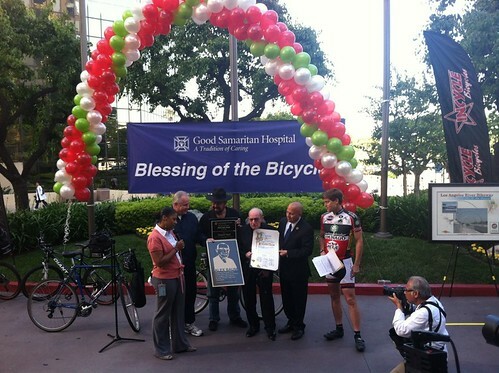 A replica of the plaque was presented at the Blessing of the Bicycles during Bike Week L.A. back in May. We’ll keep you posted on the plaque and re-dedication ceremony as more information becomes available. Good Samaritan’s Blessing of the Bikes!